I’ve heard that co-washing is like “washing your body with lotion” insinuating that hair can’t be properly cleansed with a co-wash (cleansing conditioner). Actually, one can properly cleanse their hair with a co-wash and furthermore, they can replace their lathering shampoo with it. However, there are some elements and products in your regimen that may have to change to effectively do this. Co-wash \kō-wȯsh\: to cleanse your hair with a conditioner. The benefits of co-washing includes increased moisture retention, better texture definition, less frizz, gentle cleansing, easy detangling, and softer hair. There are many co-washing products that can be purchased. However, many people instead use light-weight instant conditioners like V05 or Tresemme Naturals to co-wash. These conditioners can be used to co-wash hair because they contain light cleansers. However, one needs to note that many ingredients are multi-purpose. Just because you see a cleansing agent in a product, doesn’t mean that is its purpose in that product. For instance, Disodium EDTA is a chelating agent that removes minerals from hair. In lower concentrations, it can also be used as a preservative or stabilizer and wouldn’t be effective as a cleanser. The purpose of an ingredient can also depend on the formulation of the product that it is in as some ingredients act differently with certain ingredients. If you’re one to use conditioners that aren’t formulated for cleansing specifically, overtime it would be equivalent to “washing your body with lotion”. Regular rinse-out conditioners are formulated to condition hair and will do so more than cleansing it. Stick to these formulas for cleansing in between wash days. 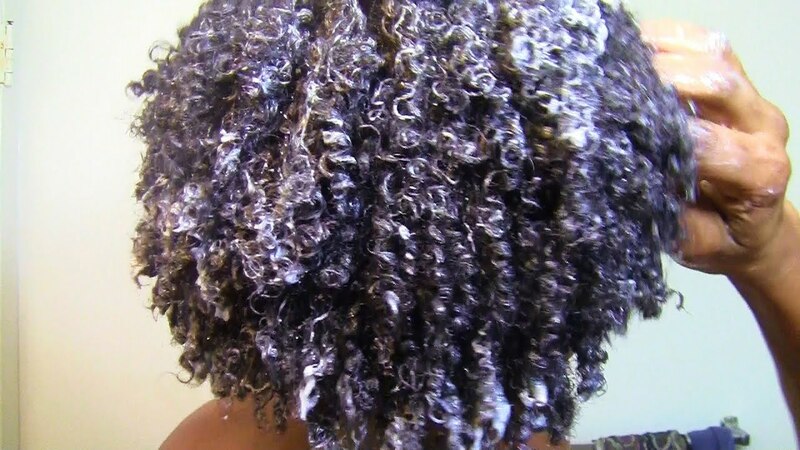 Picking the proper co-wash is vital for making a no-poo (no shampoo) regimen work. A good co-wash should have a cleansing agent(s) in high concentration within the product. Many newer co-wash products are passed off as cleansing conditioners, when in fact they are no more than regular conditioners. These are okay for in between wash days, but not for replacing shampoo. The best type of co-wash should be free of silicones that aren’t soluble in water. Make sure to read the ingredient list on your co-wash to ensure that you are buying a cleansing formula. Check out our article “Co-Washes That CAN Replace Your Shampoo” for great co-washing examples. Swapping out your shampoo for co-washing requires changes in your regimen and the types of products that you use. Co-washes aren’t harsh cleansers; they are made to gently cleanse hair. So it can take several washes to remove buildup of plasticizing agents like silicones, mineral oil, waxes, and butters. Water-soluble products like botanical or herb-based products are best for a co-wash only regimen. If you want to use products with plasticizing ingredients, incorporate them into your regimen sporadically. An effective way to use oil or butter-based products in a co-wash only regimen is to use them once a week. I personally use these types of products on wash day to seal in moisture. The rest of the week, I’d use water mixed with a few drops of oil to refresh my hair. Silicones can be used, but only sporadically since it takes longer to remove with a co-wash than oils/butters. Co-washing may not be best if you like to use heavy coating products often. A misconception with co-washing is that one should wash their hair in the same manner that they would with shampoo. The process is similar, but not exactly the same. One that shampoos their hair would normally wet their hair, concentrate the shampoo on the scalp, massage, and then rinse. With co-washing, you’d want to water-rinse your hair first to break up any debris, apply the conditioner to your scalp, massage to lift dirt, apply conditioner to the length of your hair, let the product sit on your hair for a few minutes, and then rinse. Applying a cleansing conditioner to the length of your hair is perfectly fine as it will not strip your hair and will dissolve debris along the hair shaft. There is definitely a science to co-washing. Even though it is a great alternative for shampooing, it doesn’t fit everyone’s lifestyle and preferences. If you’re thinking about making the change to co-washing, I urge you to give it at least 3-4 months to get accustomed to it. It’s not as simple as washing your hair one time to know how you’ll feel about it, especially considering that it requires a change in your hair regimen. To learn more about co-washing and how to incorporate it into an effective hair regimen, I highly suggest reading The Curly Girl Handbook by Lorraine Massey. Do you think you’re about that Co-Wash life? Comment below! I love to co-wash my hair. As a matter of fact I don’t even shampoo anymore I only co-wash its healthier and more moisturizing for our hair! Same here! I love co-washing waaaay better than shampoo. It definitely works for me. Thanks for visiting! I just went natural with the big chop and I’m really glad I found this article I use Organx and of course those bottles are tiny! Now I have the option to just condition my hair! I love it!! Thanks!! I am so glad that this article was helpful! Thanks for visiting luv! As you said, there is definitely a science to it. Good point: rinse first. I love co-washing and do it every other shampoo.